Nothing pornographic. Just the biology of snails mating. The husband, always the lucky bloke to get good shots of nature. So this is how snails do it hur hur hur. I like the 2nd photo best. Can actually see both snails ‘mata terbeliak’. Now I just hope that the female snails not too fertile to produce too many baby snails. Babies are cute, but theirs can be a nuisance at times. This entry was posted in Photography by Percicilan. Bookmark the permalink. At the risk of sounding perverted, I’ve always wondered how they did it! There’s all the jokes of ‘your house or mine’, but whoa, this was something I’d never imagine. Thanks for the lesson of the day! Stumbled upon yourblog today and I love the breadth of subjects you write about! And of those books! Whoa! 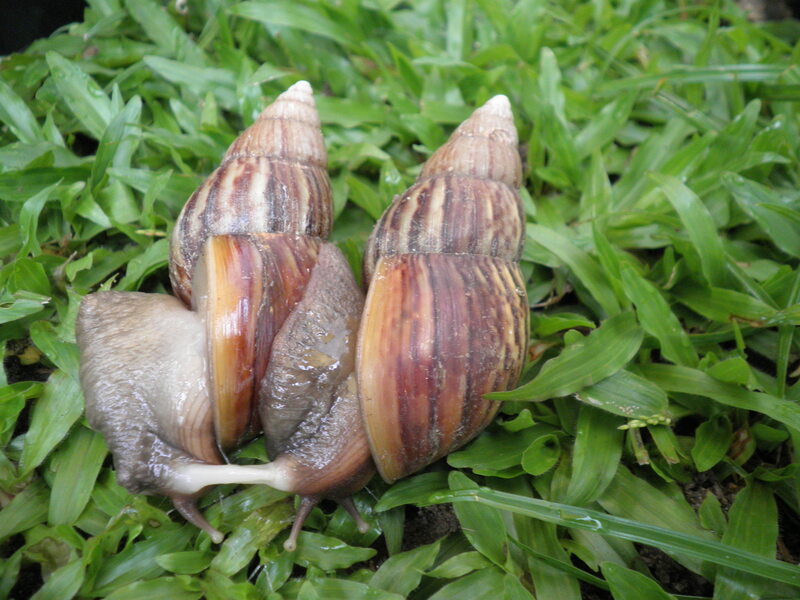 Best Pic would of course be the ‘bercengkerama’ snails. In case you didn’t already know, snails are actually hermaphrodites. When copulating, they actually inject each other with little harpoon as part of their, ahem, ‘foreplay’ before inseminating each other. Graphic eh? 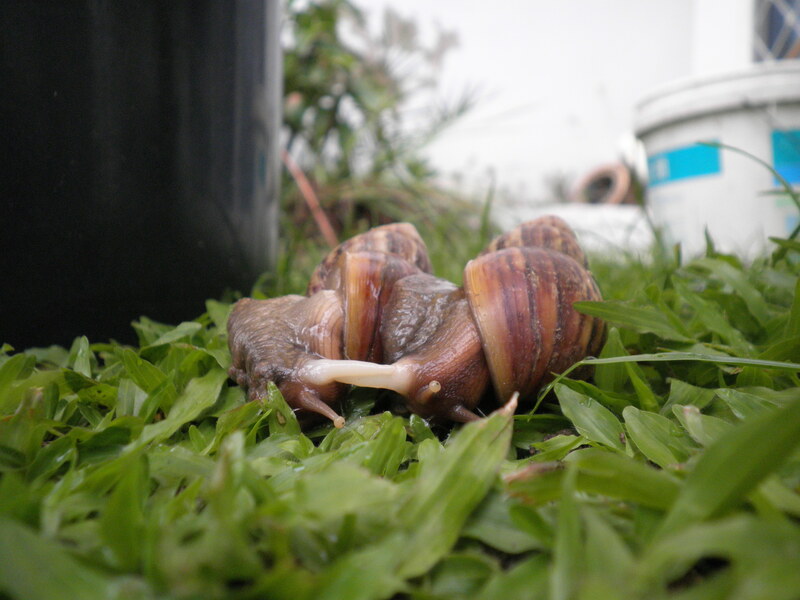 Ah yes… did read up about snails mating before I put up these… Interesting ya! Some websites call it the love harpoons!